A smartwatch that (if truth be told) looks the part. With a new full-round digital display, our Q Venture offers more than one features like customizable faces, discreet notifications and automatic activity tracking to help in making your life easier—and a little bit more stylish. Smartwatches built with Wear OS by Google are compatible with iPhone and Android phones. Wear OS by Google and other related marks are trademarks of Google LLC. Touchscreen smartwatches built with Wear OS by Google require a phone running Android OS 4.4+ (apart from Go edition) or iOS 9.3+. Supported features may vary between platforms. To keep away from damage to your watch, only use with included charger. Do not use a USB hub, USB splitter, USB y-cable, battery pack or other peripheral device to charge. Wear OS by Google and other related marks are trademarks of Google LLC. 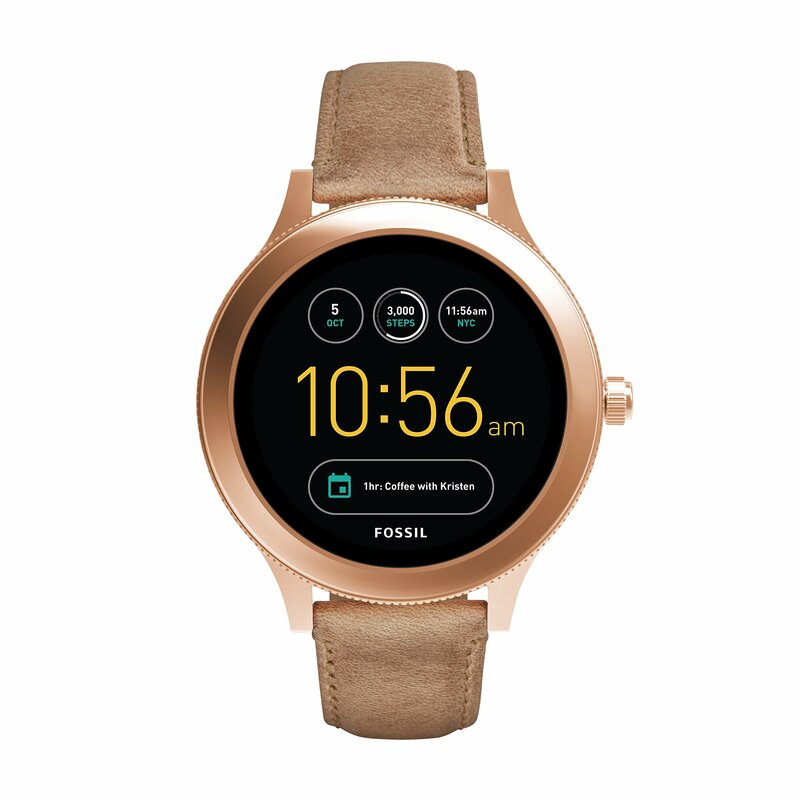 Touchscreen smartwatches built with Wear OS by Google require a phone running Android OS 4.4+ (apart from Go edition) or iOS 9.3+. Supported features may vary between platforms. iPhone users can not respond to messages or app notifications from the watch. iPhone users can not ask Google Assistant for directions. The watch will only receive push notifications from navigation apps activated at the iPhone. To keep away from damage to your watch, only use with included charger. Do not use a USB hub, USB splitter, USB y-cable, battery pack or other peripheral device to charge.